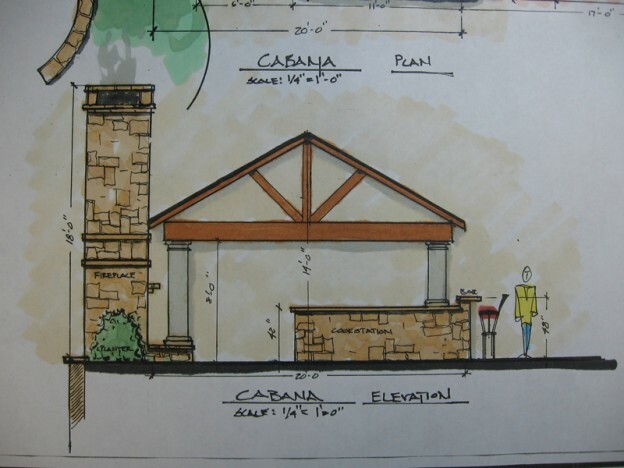 To create an atmosphere where our clients can sit back upon project completion and say, “Wow! I can’t believe how beautiful and well crafted our backyard is!” Our success is defined by our clients’ happiness and satisfaction with their Outside Experience. Our goal: To create an atmosphere where our clients can sit back upon project completion and say, “Wow! I can’t believe how beautiful and well crafted our backyard is!” Our success is defined by our clients’ happiness and satisfaction with their Outside Experience. The design process starts with a detailed site visit, which includes the observation of topics such as: topography and grade changes, existing conditions, plant inventory, drainage issues and concerns, sun angles and exposure, and screening opportunities. Photographs are taken of the site and then used during the conceptual process. Every site is unique in nature and for this reason every project is designed with the client’s best interest relative to their program and budget. We then present the concepts and, upon your feedback on design and budget, we work toward a finalized plan and proposal for construction. The finalized landscape master plan is then presented. As a design build company, we provide you with tremendous value. Our visionary and creative team designs and constructs projects every day. We understand construction costs, and therefore we can marry your project priorities with a creative approach that is within your budget. Once the scope is agreed upon and we are contracted, securing materials, scheduling, planning and implementation of the construction process begins. 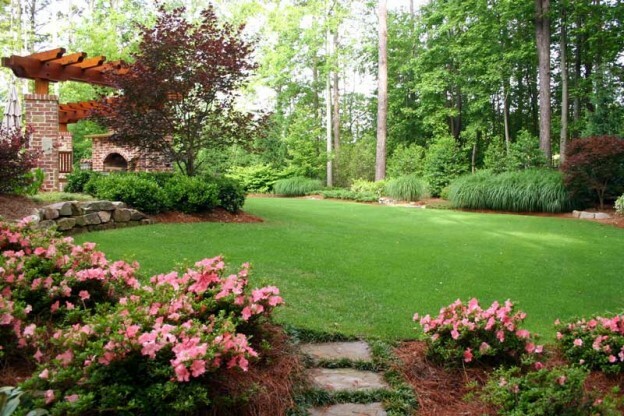 As a Metro Atlanta residential landscape company, we understand the unique desires of homeowners. Your home is your haven where you and your family live, and children, neighbors, and pets are active. Our goal is to make the construction process pleasant, with a clean and safe environment. Although each project is uniquely different, the formula for success is the same. Creativity, seamless execution, organization, and good value are essential in making the end result a success. Outside Landscape Group is committed to providing sound design ideas and expert craftsmanship, which are the foundation of successful projects and long-term relationships with our clients. 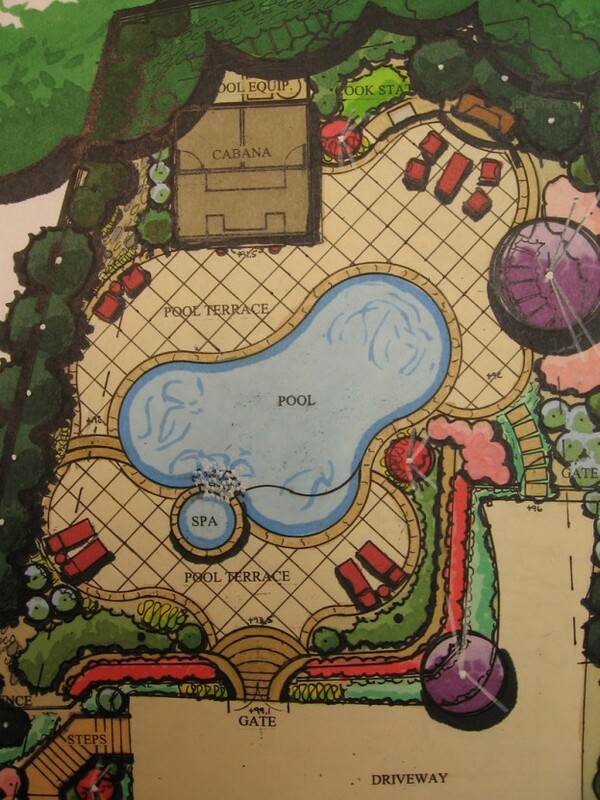 Not all landscape plans are created equal. At OLG, we have creative talent behind your plan. We have schooled and trained landscape designers and landscape architects, each with expertise in a design-and-build background. And we recognize the importance of creating plans for YOU, not for us. Building outdoor projects often requires a multitude of trades, with various steps and sequenced events that involve detailed scheduling and communication in order to complete. Our answer to this challenge is to keep the process simple, so we have put together, under one roof, a small group of highly-skilled, multi-talented individuals, and we build each project continuously until it’s completed. If you’re interested in a specific landscaping project, give us a call today, or fill out the form on our website to schedule your complimentary consultation.